In our quest to make a safer radio, we’ve switched from the industry-standard Lithium-Ion (Li-ion) battery, to a more stable Lithium-Polymer (Li-Po) battery. This battery is more stable, as well as more lightweight than the lithium-ion battery. In addition, the Lithium Polymer battery is the recommended battery to use if you’re planning keeping your radio stored for a long period of time. With its great charge retention, it will be ready when you need it most. The GD-55 features two power settings, High (10W) and Low (4W). While delivering this major output in High Power mode, the radio remains cooler than radios with comparable output, due to the exterior design. The GD-55 was designed to dissipate heat, and keep the user comfortable during long-term high power transmission. 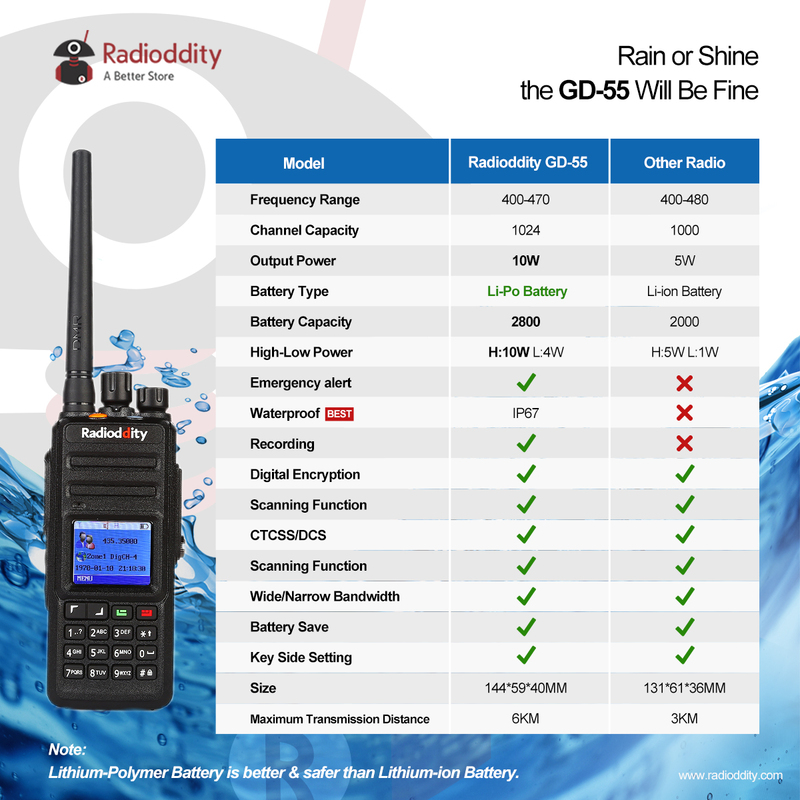 The GD-55 might just be the toughest radio on the market. We’ll let you decide. Waterproofed to the IP-67 standard, and rated to take a 5 story fall, the GD-55 can take all you can throw at it. The perfect radio for the toughest of jobs, especially if you work construction on a seaside, 5 story building. We’re not saying you could run over it with your car, but we wouldn’t be surprised if it stood up to that test as well. 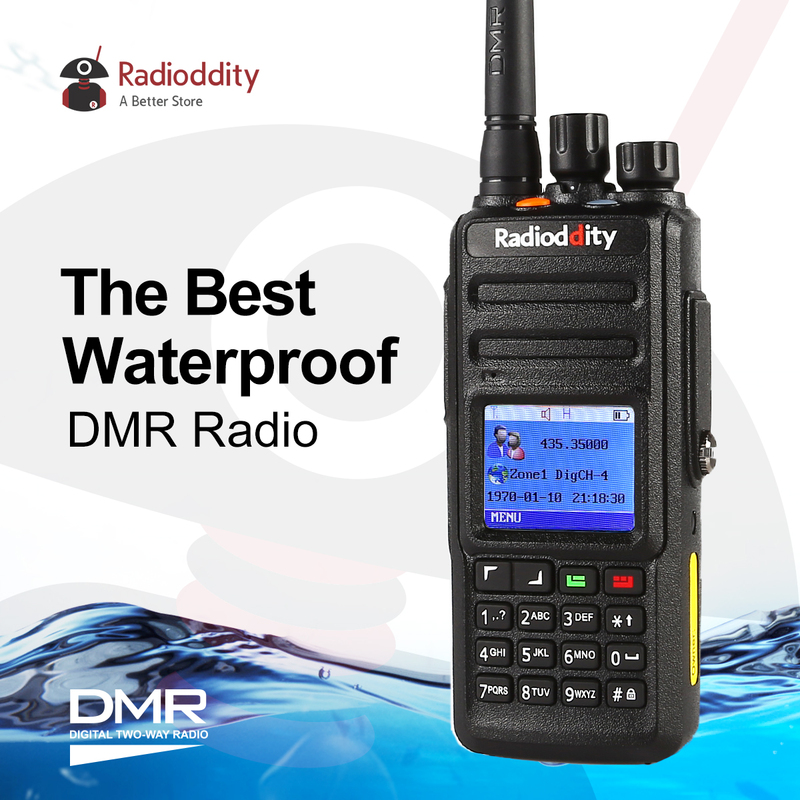 The GD-55 supports text messaging from radio to radio using no mobile data, making it ideal for communication in places where cell phones can’t go. 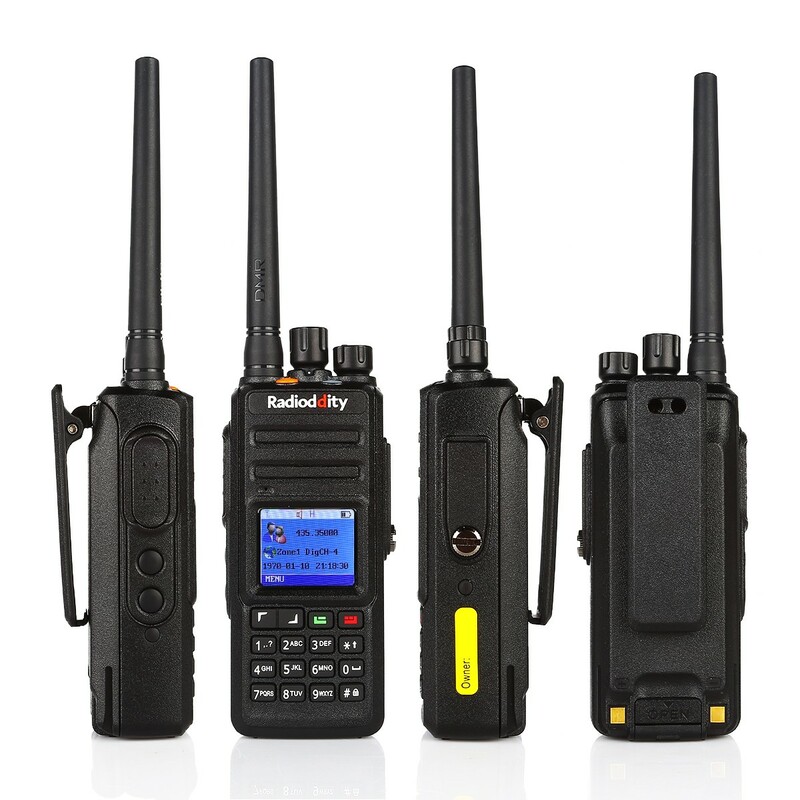 This walkie-talkie is compatible with the TYT MD-380 messaging platform, meaning you can send and receive text messages from the MD-380, MD-390 and of course, other GD-55s. Keep voice records of conversations for future reference with the GD-55. 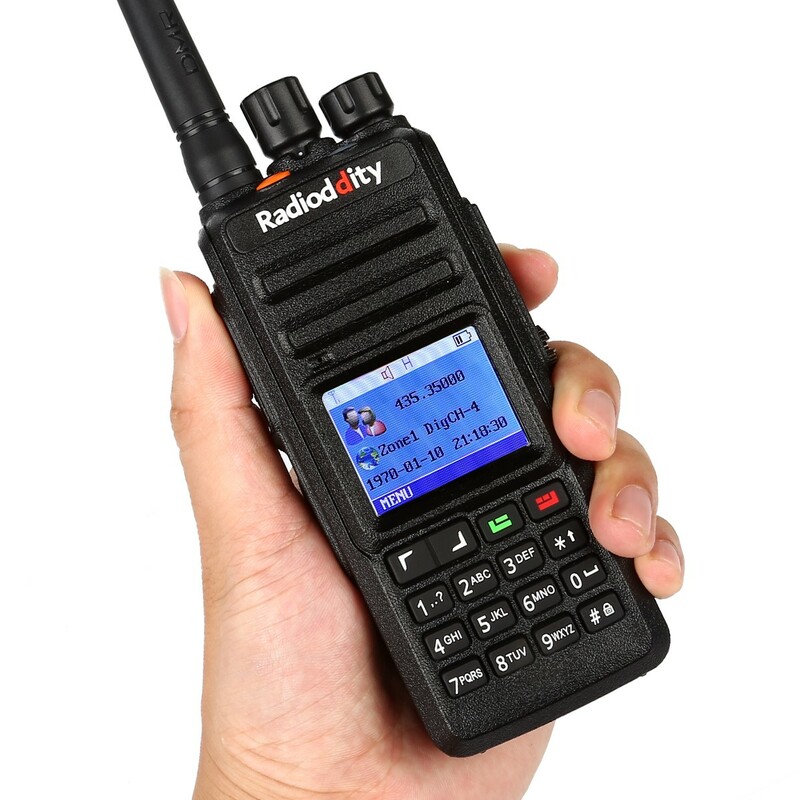 Featuring a voice recording function, this radio is capable of recording both the transmitting and receiving voices of a call, with storage for later reference. This function can be enabled in the settings, and its function is to alert the user when the radio falls to a horizontal position. This can be used as an easy-retrieve setting, a handy alarm, or any of countless other opportunities. After falling to horizontal, and sensing an impact, the radio will start to release the alarm, which can be disarmed by turning the radio off. Don’t let a dead battery keep you off the air. We designed the GD-55 a 2800mAh Lithium-Polymer battery to be safer, while maintaining its functionality. With a safer, extended battery, you can rest at ease, knowing that your radio will remain charged for 12-15 hours of transmitting time, and 25-30 hours of standby time. Our Li-Po battery lasts longer (more charging cycles) than a Lithium Ion battery, so whether you transmit daily or keep it in storage, the GD-55 will be there for you when you need it. We designed the radio to be strong and comfortable. IP67 Waterproof and able to withstand a 5 story fall, the GD-55 is tough enough for any job. The construction of the body dissipates the heat produced by the 10W high power output, making this HT considerably more comfortable for the user. The GD-55 is the ultimate team communication machine. Featuring text messaging that uses no mobile network, the GD-55 takes radio communication a step further. Compatible with the TYT MD-380 and MD-390’s messaging system; the GD-55’s text messaging system is robust and easy to use. With up to 10 Watts of output in High Power Mode, the GD-55 powers through obstacles, reaching your objective with ease. Hit the repeaters you need, and be heard. The GD-55 also supports digital encryption. For sensitive conversations, or for privacy, digital encryption ensures that your transmissions are not intercepted by unwelcomed parties. The GD-55 can be digitally encrypted via the programming software. If you lose your GD-55, and worry someone will be able to tap into your digital encryption, we’ve got you covered. The GD-55 includes a remote kill and stun feature. If your radio is lost or stolen, and you are using digital encryption, this feature allows you to use your computer to remotely disable the radio. This setting must be activated beforehand via the supplied programming software (also available at www.radioddity.com/us/downloads). Once disabled, the radio can no longer transmit or receive, and may be reactivated via the programming software once recovered by its rightful owner. 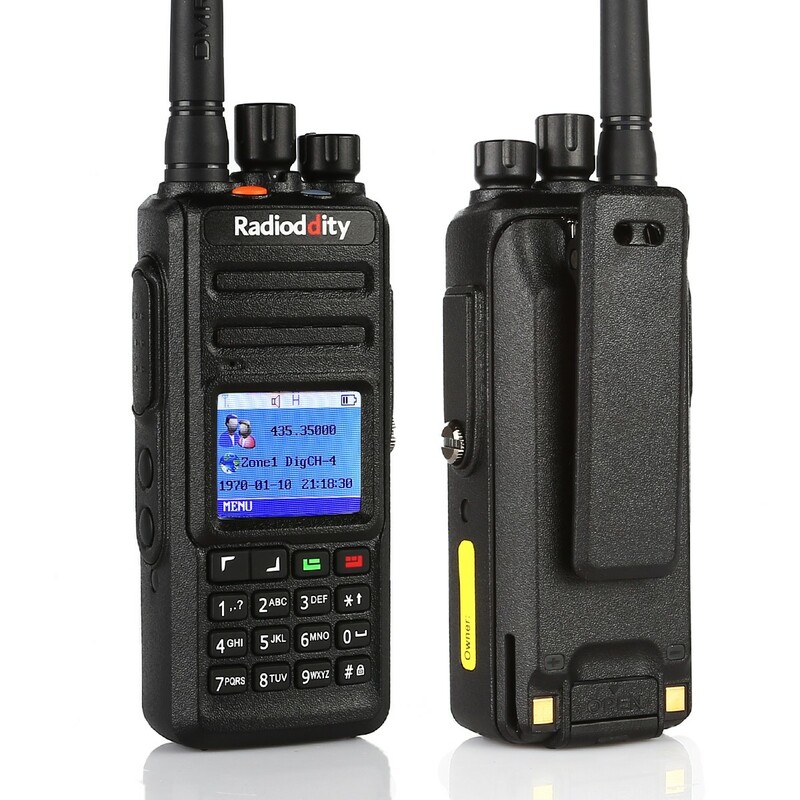 The GD-55 features scanning, on both wide and narrow bands, as well as CTCSS/DCS. CTCSS (Continuous Tone-Coded Squelch System), and DCS (Digital Coded Squelch) allow you to tune out the chatter on the channel you’re using, resulting in a more pleasant receiving experience. Last but not least, the GD-55 includes two programmable buttons on the side. These buttons give you multiple customizable options including Monitor, Vox, High/Low Power, Kill/Stun/Revive, and more.